Knowingly or unknowingly I was talking about Shankar Nag’s (Shankar Nagarakatte) talent and films yesterday. 18 years have passed since we lost a great director/actor of Kannada film industry. We Kannadigas are still trying to find a Shankar Nag in every debutant. Shankar who gave us movies like Minchina Oota, Accident, Noodi Swamy navirode heege. Shankar who gave us television serial like Malgudi Days, Shankar who got Nagamandala to stage is missed by every Kannada movie buff. I like “ondhanandhu kaaladhalli” in addition with Minchina Oota and Accident. We miss him. Accident still holds top poistion in my favourite movies list. Each character in movie is just brilliant.Best thing about Shankar Nag was , theatre wasn’t stepping stone for him to join movies.He was always active in theatre too.No replacement for him in Industry or in India as he was one of the most brilliant,technically sound director.We really miss him. BTW have you read Anant Nag’s book on him – ‘nanna tamma shankara’. ? 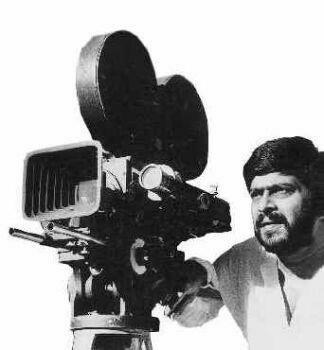 Shankar Nag is one of the greatest actor/director the Indian film industry has ever seen. He had a great vision for the Kannada film industry & also for the whole state. In 90’s itself he realized the need for metro rail system for Bangalore & even prepared a report on that. But, after that it took many years for our govt. to realize the same. everything i wanted to say has been said before. i loved malgudi days! the theatre ranga shankara i think has something to do with shankar nag..isnt it? Yes. RangaShankara is the theatre built in memory of Shankar Nag by his wife Arundhathi. In your next visit to Bangalore make sure to watch a play there. Itz not just movies or TV or theatre, he was into everything. He had dreamt of Metro for Bangalore.. sad that we are still not there.. Shankar Nag’s energy and enthusiam has inspired and motivated me many a time and continues to do so. Miss you. Shankar !!!! simply great personality.. which we can’t see in future..
I’m a non-kannadika. Shankar Nag is the one who made me watch kannada films. I used to watch his movies even though I could not understand a single word in kannada. I liked his style and unconventional looks. A simple actor. dear thejesh thanks to you for remembering my guru , god shankar nag . thank you very much . yes he ia great soul . @Joshi Mukard : Good to know. This movie is enough to say who Shankar Nag is. If time permits please do watch this movie. I recently reread Nanna Thamma Shankara. That man was fabulous. What a fantastic human being! What energy! Frankly I found most of the films he acted inforgettable, but then he had no choice, since they are all masala stuff. That’s why he made those bridgefilms himself. but the fact that he managed itwhile having afull time film career is what impresses you. 12 years and over 70 films. and so many side projects, like the sanketh film studio which helped kannada film makers to shed their dependance on madras. that he continues to move people 18 afters his death shows what a man he was. and to think he didn’t know a word of kannada when he started films! i had the good fortuneto attend the premiere show of ‘ondanondu kaladalli’ at alankar theatre. but he didnt make itto the show. i wish ananth nag writes a more extensive biography of shankar nag in english, to show the world that such a man existed. their relationship was again something beautiful. As he was basically from drama his acting and directional skills were very professional. As a person he was a nice person. and even his accident is a mystry. He is the only person director who has no enemies in the industry. his style of direction and style of acting made all age members to see the film. It a huge loss for Kannada industry. 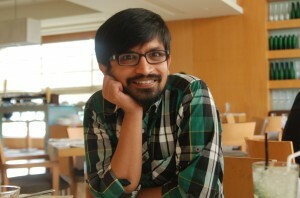 but even now his name stands top in contributors for kannada industry. @taurus1 : Hi, I tried everywhere for the book nanna thamma shankara, they all say its out of print, if u dont mind, can u lend me ur copy, will return after reading it. @mamatha : Nanna tamma Shankara is available at totalkannada.com. You can buy online. A man like shankar nag can never come for kannada industry. Kannada peoples never forget for his greatness. I saw nearly all the movies he acted,If he live today with us there is no doubt that the sandalwood will be one of the best cinema industry in India. @Thejesh GN : Hello Thejesh, i did order it online at totalkannada.com but they say its out of print. Is it possible for u to give a copy of it, im very much in need of it. Many of my friends including me are searching for “Nanna thamma shankara” we checked in totalkannada but they said its out of print. Is it possible to get this book anywhereelse? Total Kannada has published “Nanna Thamma Shankara” book now. Price is 170 Rs. (with Shankar Nag Photos). Book release photos are here. ೨ ದಶಕಗಳು ಕಳೆದರು ಮರೆಯಲಾಗದ ನೋವು,,,,,,ಕೇವಲ ಚಿತ್ರರಂಗಕ್ಕೆ ಅಲ್ಲ ರಂಗಭೂಮಿಗೂ ತುಂಬಲಾಗದ ನಷ್ಟ. ಮತ್ತೆ ಹುಟ್ಟುವವರಲ್ಲ ಅವರೆಂದಿಗೂ ಸಾಯಲ್ಲ, ನಾವೆಲ್ಲ ಕಳೆದುಕೊಂಡಿದ್ದು ಅವರ ದೇಹ ಮಾತ್ರ ಅವರ ಆತ್ಮ ನಮ್ಮಲ್ಲಿಯೇ ಇದೆ. ಅವರ ಆಶೋತ್ತರದೆತ್ತರಕ್ಕೆ ಬೆಳೆಯಲು ಪ್ರಯತ್ನಿಸೋಣ…. No other personality can be compared with Our SHANKAR….. I was just 5 and 1/2 years when my dearest “actor/person/personality/spirit” physically left this world, I still can’t accept the fact that he’s not with us (physically)… I don’t know why, but he was the one and only one who could turn my attention towards him, I may be just nothing in this world, but many – like me – love/like/admire him, and the impact he made is beyond the imagination. I am reading the book “Nanna Thamma Shankara”, I read Ganesh Kasargod’s book on him “Nenapingaladalli Shanker Nag”… and many articles. What a man was he? If technology is within our (beyond our) limit, if we could have a “Cloned Shankar Nag” like it happened with “Dolly the Sheep”, we would have been the most luckiest on the earth to have our very own Shankar Nag forever… this is just an imagination.